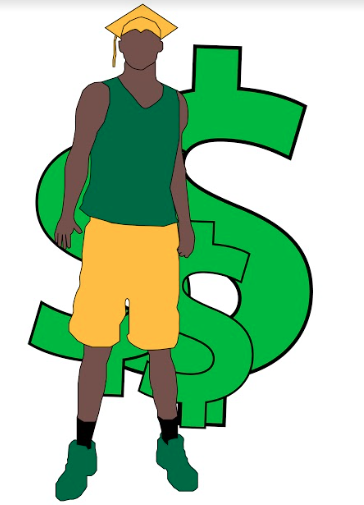 OPINION: Should college athletes get paid? March Madness is circled on the calendars of people around the world. 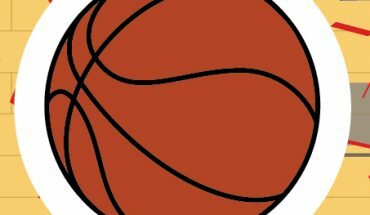 This tournament is hosted by the National Collegiate Athletic Association, the NCAA, which oversees the 351 Division I Men’s Basketball programs fighting for one of the 68 spots in the tournament. However, not everyone benefits from this entertaining tournament — namely the players themselves. According to Bloomberg, the NCAA earned more than $1 billion last year. This money primarily comes from massive television contracts for their annual men’s basketball tournament. These contracts brought the NCAA $761 million last year, and the students received $0.00 of it. It is not just the NCAA that is profiting off of the athletes, the schools that they play for do as well. According to CNN, “division I college football and men’s basketball teams made a combined profit of $1.7 billion in the 2013-14 school year”. These players got to keep zero percent of the revenue that their talents helped bring in. However, it is not just high-profile athletes that deserve to be paid. If a non-student-athlete needed money, they would be told to get a job. NCAA bylaws state that student-athletes can work, but many do not have the time to devote to a job. According to the NCAA’s 2015 GOALS Study of the Student-Athlete Experience Survey Division I, athletes spent a median of at least 66 hours a week, in season, on athletic and academic activities. This equates to nearly 39 percent of their week. However, there were many athletes that spent upwards of 70 hours a week on athletic and academic activities. This means many athletes spent at least 42 percent of their week during the season on athletic and academic activities. With athletics and academics taking up a bulk of student-athletes’ time, it leaves little room for other activities, let alone a job. The 2015 study also looked at the percentage of student-athletes working at a job for pay. Depending on the sport, between 11 and 23 percent of Division I athletes worked at a job, however, no athletes worked more than an average of nine hours a week. It is important to note that this NCAA survey required the athletes to self-report, and therefore may not fully encompass the hours some athletes spent working, or on athletic and academic activities. Some may argue that student-athletes should not be paid wages because their education is being paid through scholarships according to CNN, beginning in the 2015-2016 academic year students, at many major sports’ schools were offered a cost-of-attendance-stipend. 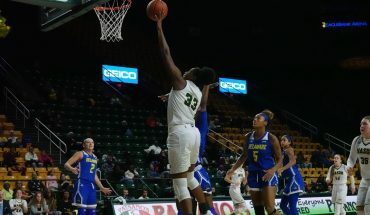 These stipends range from $2,000-$5,000 and are intended to help make up the difference between athletic scholarships and what it actually costs to attend college. The stipends are a good idea, but they are not nearly enough. The full cost-of-attendance stipend is only given to student-athletes on a full scholarship to a school in a Power Five conference, according to the Kansas City Star. Athletes in these conferences that are on partial scholarships only receive a percentage of the full stipend. This is a problem — just because a student-athlete competes for a school outside of Power Five conferences does not mean they work any less than a student-athlete at a Power Five school. They work just as hard, and have also earned a full scholarship, and should be compensated with cost-of-attendance stipends as well. According to CBS, partial scholarships can be given in all NCAA Division I sports that are not FBS, Football Bowl Subdivision, Football, Men’s and Women’s Basketball, as well as Women’s Gymnastics, Tennis, and Volleyball. This encompasses a large number of athletes, who would also benefit from the additional money to help pay for the costs of being a college student. However, stipends alone are not enough. The schools of the Power Five conferences found the money for the stipends and should be able to find the money to pay their athletes. The payment does not have to be equivalent to a salary, but student-athletes need to be compensated for their efforts on the field or court. Other student workers are paid for their on-campus jobs, including work-study, working at a front desk or tutoring. People may say that all schools may not have the money to pay their student-athletes. However, the NCAA brought in more than $1 billion dollars last year. The NCAA can afford to fill in the gaps left by the schools to pay the stipends and additional payments to their athletes where their schools cannot. The system needs to change, for both the current student-athletes and the student-athletes of the future.